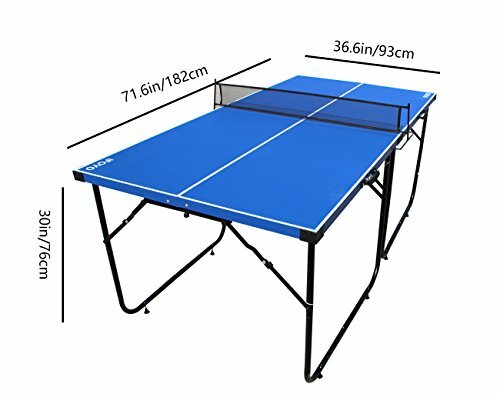 Full table tennis size is: 72in L x 37in W x 30in H (182cm L x 93cm W x 72cm H), package size: 39 L x 21 W x 7 H inches, item weight: 44 pounds / 20kg, Standard table tennis table height with a smaller surface space perfect for compact areas, Please NOTE: Bats and balls are not included. 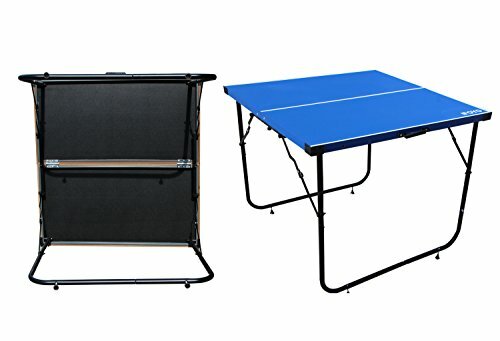 Portable Ping Pong Table, 4-Piece tennis table with foldable legs, each half of the table can be fold again, separate halves with handles make it lightweight for transport and storage, Please NOTE: You need to disassemble the crossbar of the legs first to fold up legs. 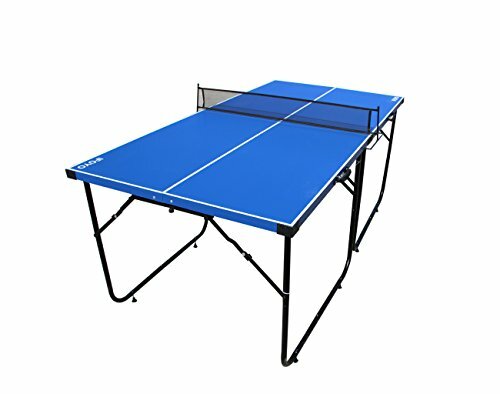 Just unfold the legs of the table tennis table and connect the two halves together with included screw, attach the included net and you are ready to play the foldable ping pong table. 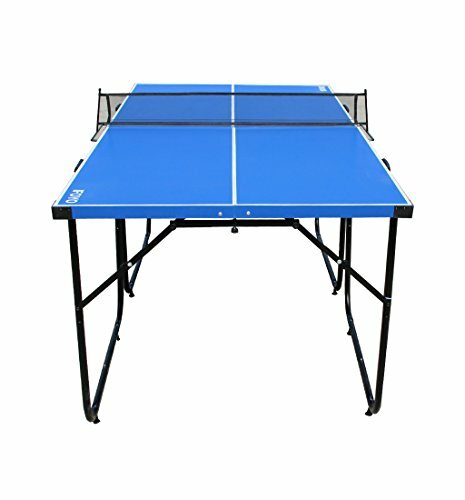 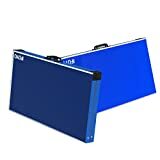 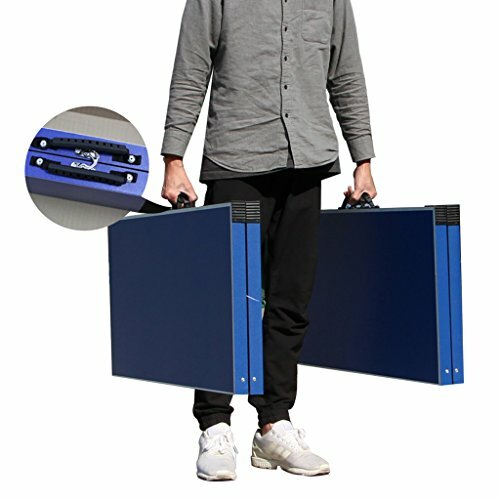 Steel frame construction of every corner and 9mm thick MDF table top with blue finish, it's an adjustable table tennis, 8-piece leg levelers make it more stable on rough ground. 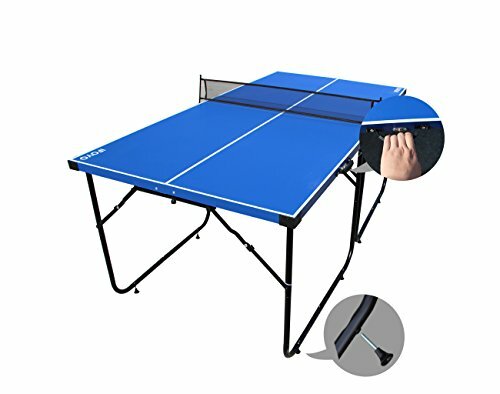 PlEASE NOTE: it's not waterproof. 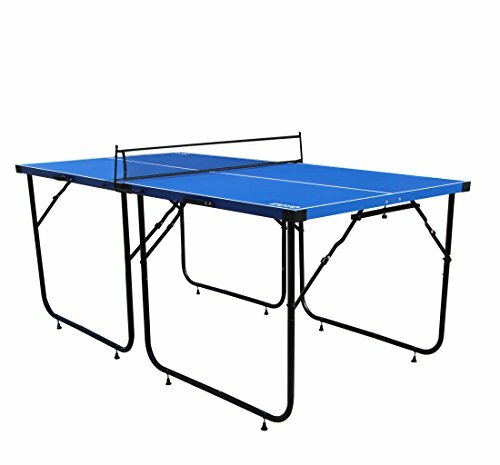 Each half of the table is free-standing and make it a perfect square table for different uses such as dining table, game table, etc. 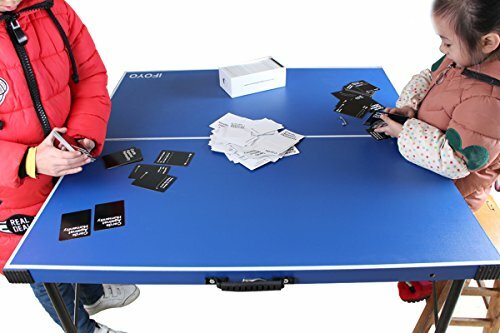 For apartment, small game rooms or kids room.